I love a good avocado smashed on hot toast with freshly ground pepper on top. I also like it when it is on special, which it often is at the end of winter. 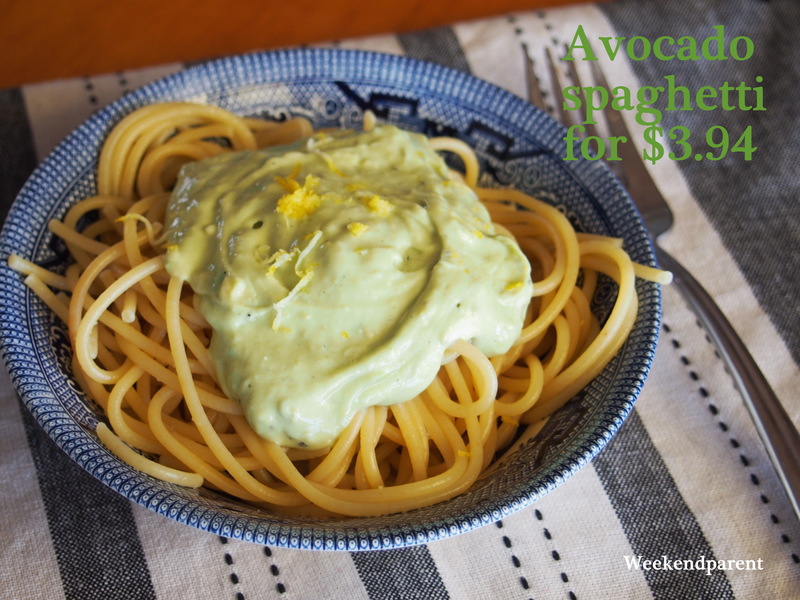 Making the most of a glut of avocados in my fruit bowl, I often like to make this avocado pasta dish. 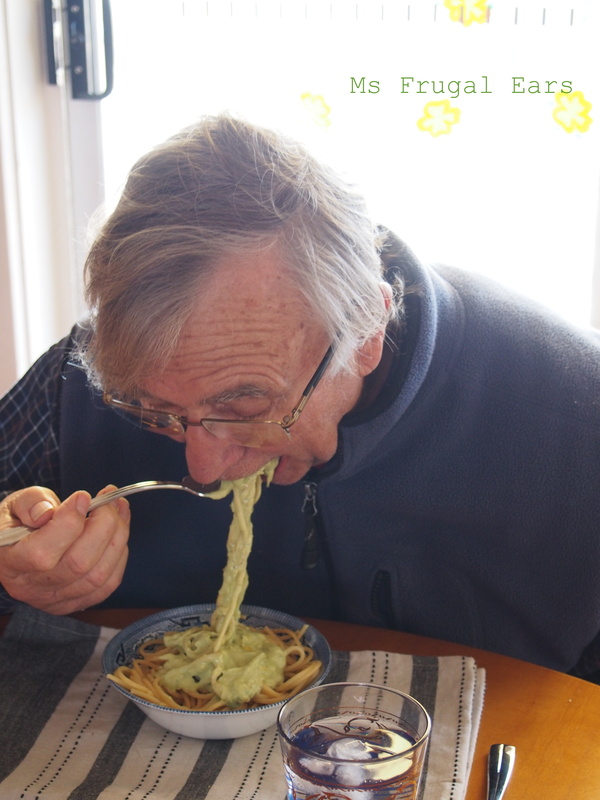 This pasta dish may seem simple (and it is – only three main ingredients for the sauce) but it is deceptively tasty (and cheap). 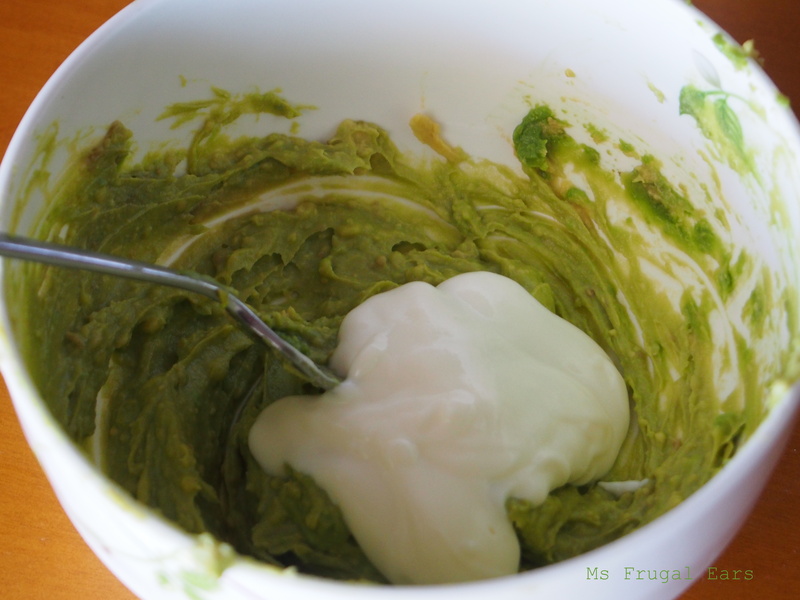 It is also quick and easy to make. I made it for my Dad this week while he was visiting. “Oh, this is good!” he said as he tucked into it in record speed. Try it and you will see why. Enough said. 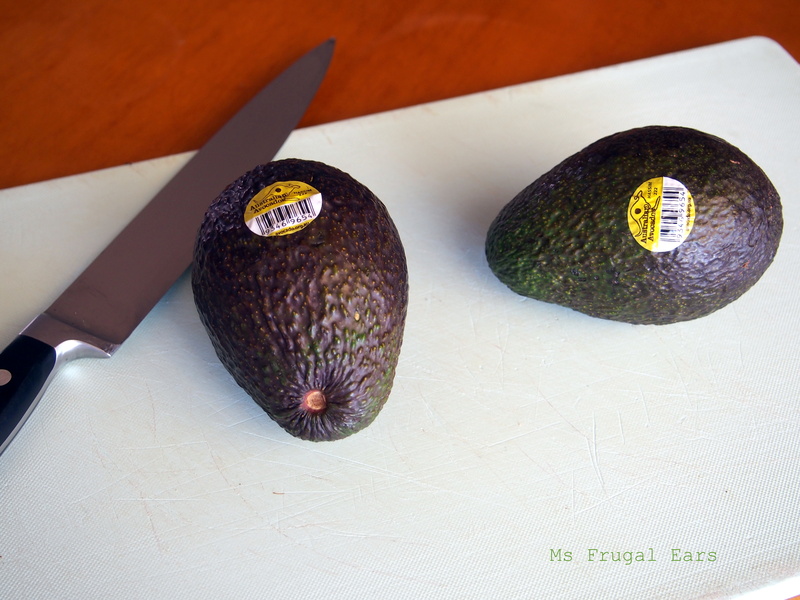 I purchased Australian avocados from ALDI. This week they are $2.49 but only recently they were on special for only $1.49. The smaller ones sold in a bag are even cheaper. Keep your eyes out for specials and you can make this dish even more inexpensively than what I have budgeted for.. 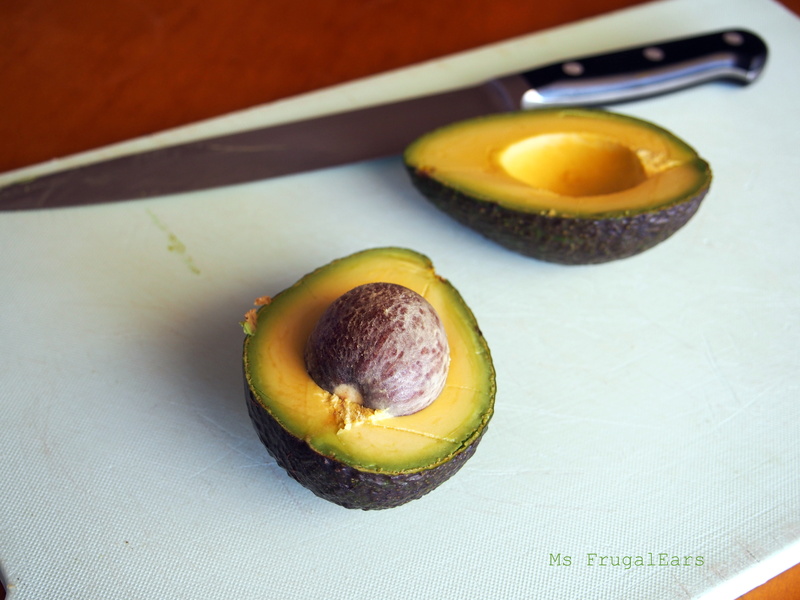 Meanwhile, cut open the avocado and scoop the flesh into a bowl. Mash. 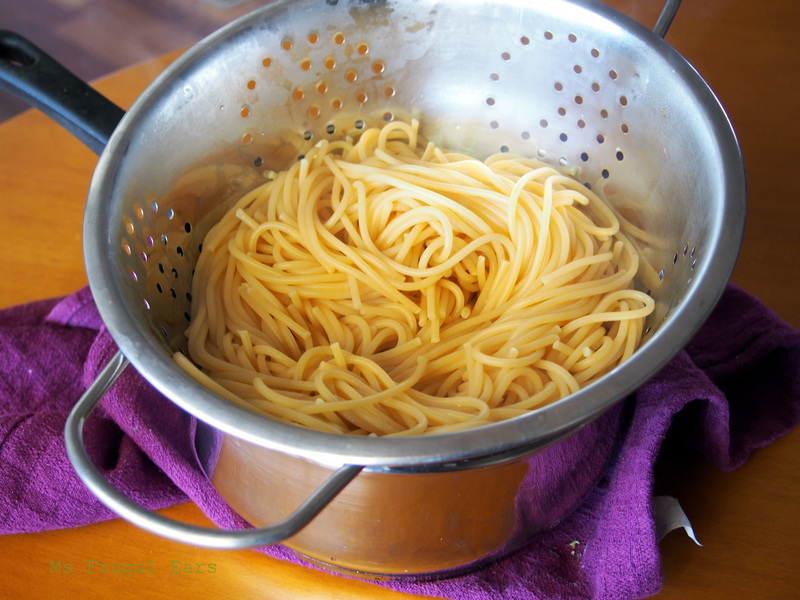 Spoon the sauce over hot spaghetti and serve. 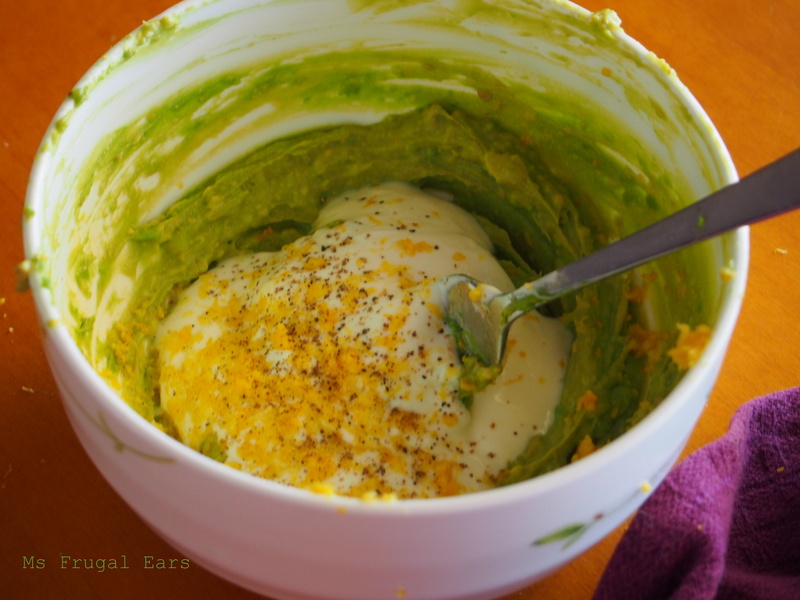 Avocados and pesto … what a nice combination. do you slice them over the top, or combine in the pesto?